Growing up in the 1950s, I had a traditional view of what a woman would be like at age 63. She would be a bit frail, have white hair and pink cheeks, and wear a housedress and an apron. She would love children and cats and bake lots of cookies. If married, she would dote on her grandchildren. If single, she would play the role of maiden aunt. If she had a career, it would be as a teacher, secretary, nurse, or (my choice at the time) librarian. That 63-year-old woman would not be hauling a backpack up a mountain or brandishing a trekking pole at overly aggressive rodents. She wouldn’t be risking her neck crossing cold creeks on slippery granite boulders or fighting the current in storm-swollen streams. She certainly wouldn’t be trying to talk relatives who are half or a third of her age into climbing mountains with her in the Sierra. I started out as the first sort of old lady. 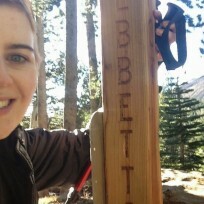 But thanks to the Pacific Crest Trail, I ended up like the second one. I was an outdoorsy youngster, and moderately athletic. But those were the days before Title IX, the policy that outlawed gender-based discrimination among institutions that received federal funding. The most significant effect of the Education Amendments of 1972 is probably today’s parity between male and female students in professional schools like medicine and law. But at the time, there was a huge fuss surrounding the prospect of taking money from football teams to support girls’ basketball. Athleticism wasn’t much supported in the small, conservative communities where I grew up. I ran on the track team in seventh and eighth grades despite a remark from a girl in my class: “I’m not going out for track. Running makes your legs ugly.” I thought at the time that muscles might actually improve her skinny limbs, but said nothing. Some girls tried out for basketball and swimming at my high school, but serious female athletes were regarded with suspicion in small towns in the sixties. 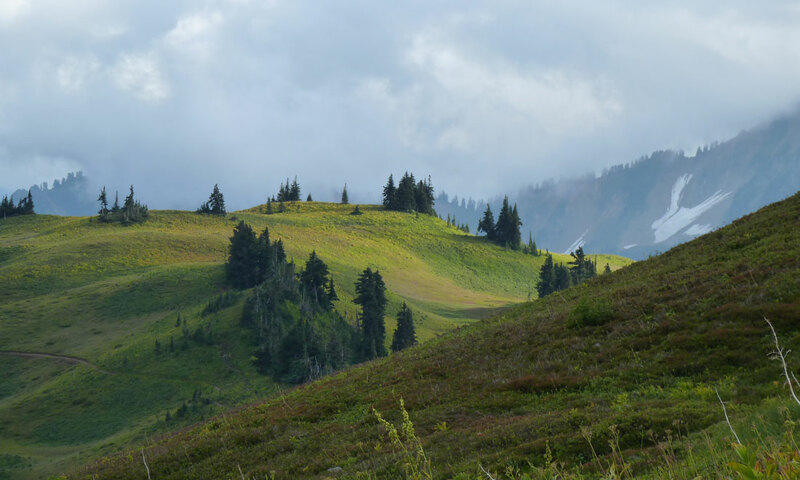 I took up backpacking when I met my future husband and took to it immediately. When our daughter, Mary, was born, we invented ways to bring her along. 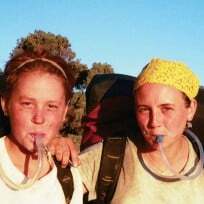 The three of us went on serious backpacking trips throughout her childhood. 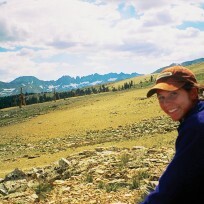 When she was 10 years old, we set out from the Mexican border to hike the entire the Pacific Crest Trail. I joked that we had chosen the point at which my downward energy level (I was 52 when we began) crossed Mary’s upward energy level. For months after we crossed the border into Canada I was such a mass of aches that I felt my energy level had dropped right off the bottom of the chart. 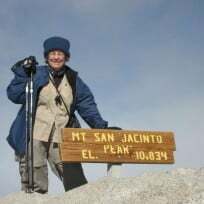 I had expected that Mary would learn the most from our PCT thru-hike. But in retrospect, I learned the most important lesson: never assume you’ve reached your limits. Mary, like most girls her age, grew up without the limitations society used to place on girls and women. She hadn’t absorbed the self-imposed boundaries on her abilities and ambitions that afflicted earlier generations. I was the one who needed to shed them. In 2006 and 2008 we returned to the PCT in Washington so that I could complete the miles I’d had to skip during our thru-hike year due to injuries and illness. Each time we returned to the Northwest, I carried less weight and Mary carried more. My husband Gary never seems to age — he just keeps toting those big packs. But I’m still wearing hiking boots instead of housedresses, and my hair hasn’t turned white yet, either. I’ll never be as strong or limber as I used to be. After all, I’m 63! 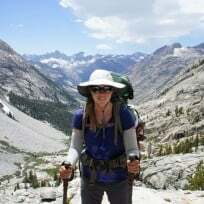 But backpacking keeps me young — or, at least, feeling younger than I would if I settled for those limits I used to accept but which I rejected somewhere between mile 1 and mile 2,650. Barbara Egbert is author of Zero Days published by Wilderness Press. 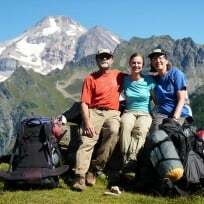 The book chronicles Barbara, her husband Gary, and their daughter Mary’s 2004 thru-hike of the Pacific Crest Trail. Mary was just 10 years old at the time. She’s now 20 and a student at Stanford University. 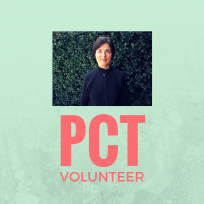 Barbara is a freelance writer and book editor. Ensure a place for journeys big and small. 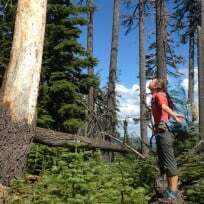 Help protect and maintain the Pacific Crest Trail by donating to the Pacific Crest Trail Association.